Studio tools, bushes & sponges. 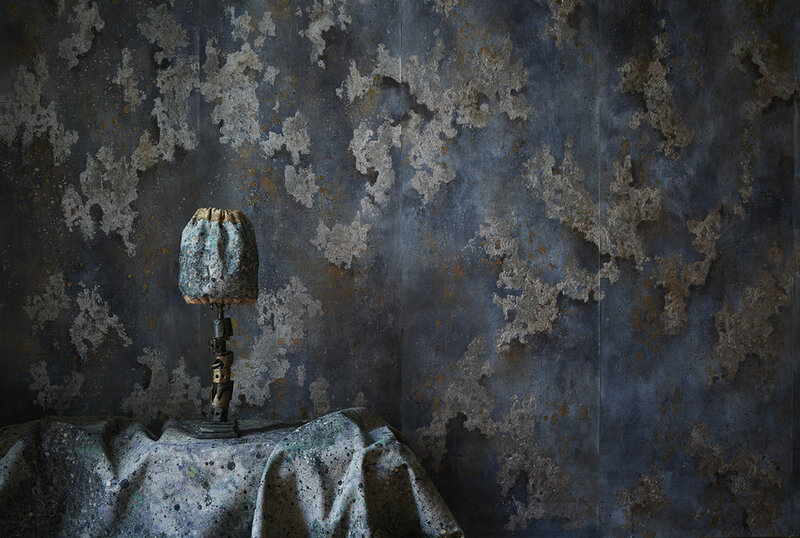 Martyn Thompson Studio has collaborated with Milanese craftsmen Fabscarte to create two unique and entirely handmade wallpapers. The two designs hold with the very tactile and three-dimensional quality of the Fabscarte world and reflect a shared love of experimentation. with subtle colors beginning to emerge from sun textured tones and dappled light. 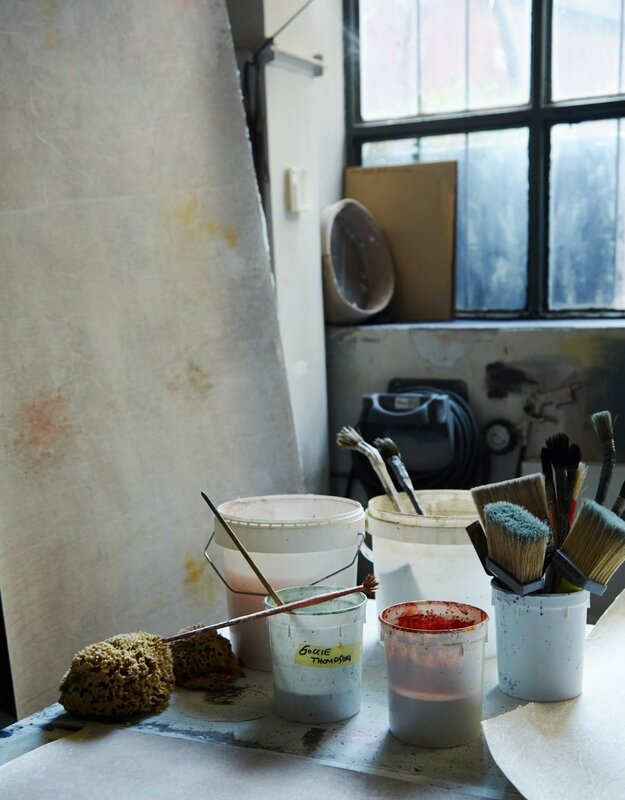 Always fascinated with the making process, Thompson immediately connected to the very intimate nature of the Fabscarte studio. From the outset the collaboration was a very open minded exchange of ideas. 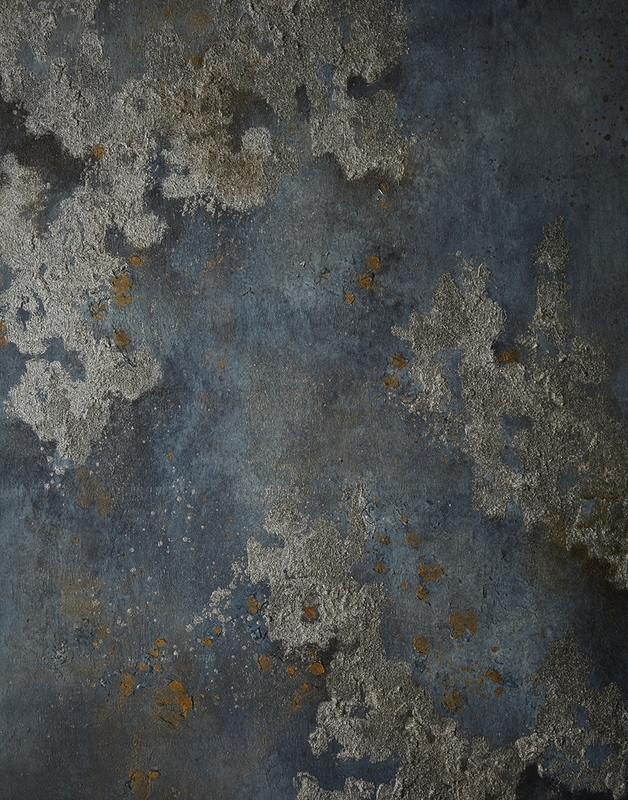 Thompson began with a simple presentation of textiles and images which the studio translated into their own personal language of metallic powder and colored pigment layered in tissue paper.